New brides, I want to give you tips on finding your gown and the right person to alter it for you. This garment is the most expensive piece of clothing you will ever wear and it MUST fit perfectly! Let's find that all important gown first. Of course, you would ask friends, family and neighbors who may have recently gotten married. But most important, look through the wedding magazines to find what you think you would like to wear. It may be a sleeve from one, the neckline from another and the skirt from another, but establishing "the" gown in your mind will serve you well as you venture out into the world of wedding gowns. Let me advise you to start looking as soon as reasonably possible from the time you get engaged because gown may take as much as 6 to 8 months to come in after you place the order. You might want to start a loose leaf binder to take those pictures with you when you go out to try on gowns. 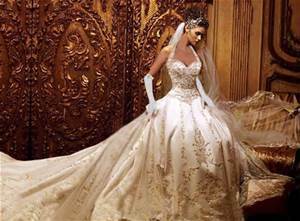 After you have selected several gowns you think you might like, use the Web to find if any of the bridal salons locally have your gown. This will save you time and disappointment. If you don't find anything locally, you can order online, BUT know that most of those gowns can not be returned. Check the website's return policy.